The IBM Power System S822LC is designed to deliver superior performance and throughput for high-value Linux workloads, such as industry applications, big data and LAMP. 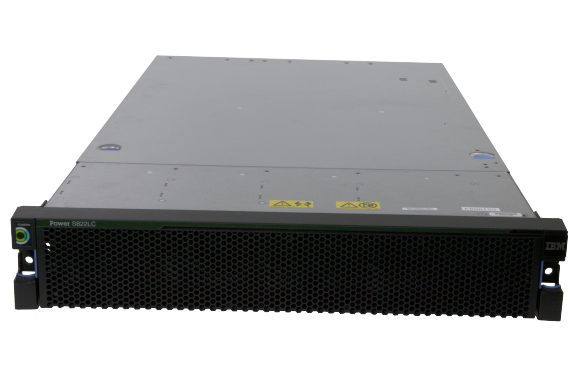 With greater reliability, serviceability and availability than competitive platforms, the Power System S822LC incorporates OpenPOWER Foundation community innovation for clients that need to run big data, Java, open source and industry applications. Superior throughput and performance for high-value Linux workloads, such as LAMP, big data and analytics or a variety of industry applications. Low acquisition cost through system optimization (OpenPOWER innovation, industry standardization, more flexible service and support). Modular design optimized to scale from single racks to hundreds of racks for large-scale clusters and scale-out deployments built on a 2S2U platform with up to 20 cores of POWER8. Work with one of our business partners to build a solution that meets your needs.